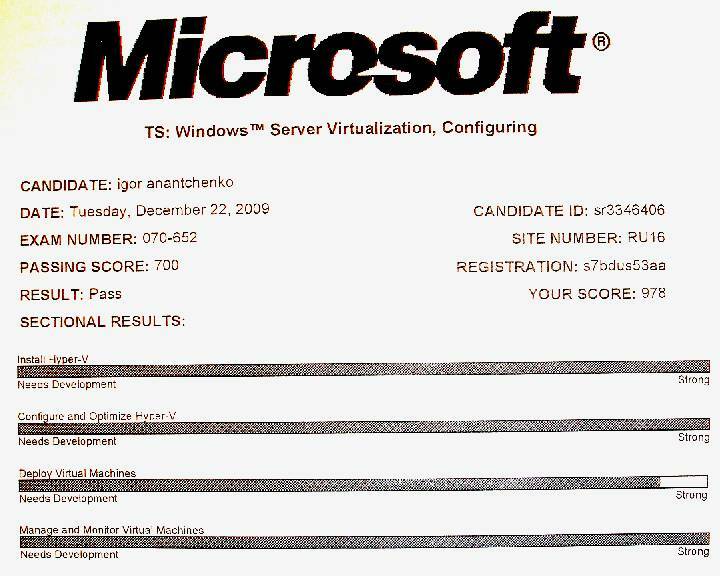 Сегодня сдал “Exam 70-652: TS: Windows Server Virtualization, Configuring”. Candidates for this exam typically have more than one and a half years of experience working in Windows Server 2003 and/or Windows 2008 Server environments as system administrators. 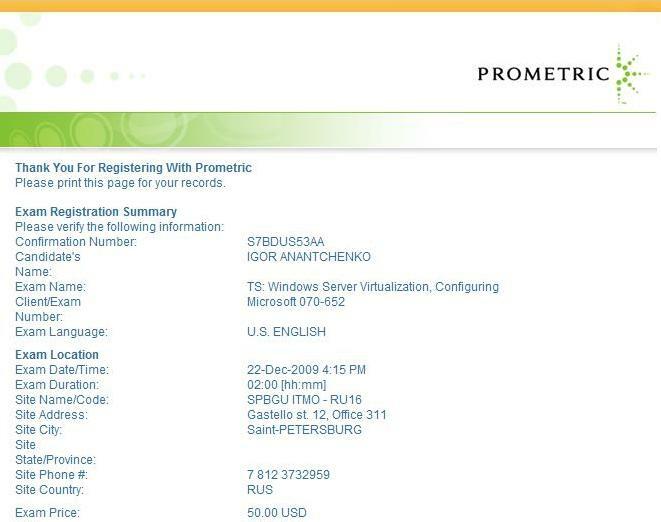 Additionally, the target audience is familiar with virtualization products and technologies.